Coming up with the right mix of metrics for education evaluation is important for any academic enterprise. Using benchmarks in developing such is extremely helpful here. If there is one prevalent trend across academic institutions today, it is the fact that the number of enrollees is increasing each year. With more demands to cater to, the need for appropriate metrics for education evaluation becomes more and more vital. Any educational enterprise should come up with ways and means to incorporate strategies that really work so that goals can be achieved. And because measuring performance is one effective way to gauge how an institution is faring against corporate goals and objectives, then the balanced scorecard filled with apt metrics should prove to be a fitting tool to use. 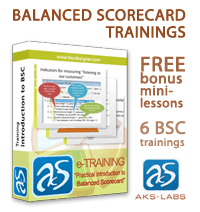 The balanced scorecard or the BSC actually started out as a strategic tool for effective management. This just started out as a managerial tool used by corporations. But as more and more enterprises discovered the relevance of the tool in terms of effective management, then it is only fitting that educational enterprises should also make use of balanced scorecards and metrics. Universities and colleges all across America and the rest of the world are now using this tactic to foster improvement in the academic scene. And much like the scorecards used by companies in other industries, the BSC for education is also developed to interpret strategies and goals of the academic enterprise itself so as to create a system that is both measurable and comprehensive. The quality of being comprehensive is important because everyone in the academe should be able to understand what the metrics stand for and how they should be interpreted. Think of the BSC as a system or a transportation channel that bridges decision-making and goal tracking, strategy measurement, and the effective implementation of performance communication. The education evaluation scorecard should make use of core indicators or yardsticks that measure and characterize institutional effectiveness. To instill objectivity, four areas need to be covered – internal stakeholder, external stakeholder, growth and innovation, as well as operational-financial performance. Taking into consideration all of these areas makes an effective scorecard system. Data has to be inputted, managed, processed, and analyzed when it comes to the internal process of the scorecard itself. Benchmarking should be implemented, with each section having its own set of goals and objectives. To meet such goals, benchmarks would then be used to assess and adjust strategies as needed. For the academic institution to create effective benchmarks, each area of the enterprise should be given focus. For the external stakeholder perspective, for instance, the benchmarks here could be student access and success, marketing, outreach, as well as connections with the academic communities. The internal stakeholder perspective, on the other hand, could have effective communication, integrated planning, performance measurement, and secure and safe campuses. For growth and innovation, you can include innovation in the delivery of services, educational modules, and programs, as well as coordinated programs for teaching staff development. The financial and business perspective, meanwhile, can include updating of school facilities, practical resource planning strategies, updates on school facilities, and the appropriate replacement of school facilities and equipment, as needed. These are just some of the benchmarks that you can use when coming up with effective metrics for education evaluation. The concept here is to cover all important areas. This way, the metrics that you develop will be balanced, , measurable, and timely.